For more about Alien Tom, visit www.alientom.com. 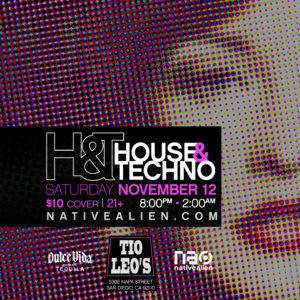 Saturday, Nov. 12th, Native Alien presents House & Techno at Tio Leo’s Lounge in San Diego w/ DJs Norman H, Skandar, Red Sonya, Alien Tom & Ryan Bauer. 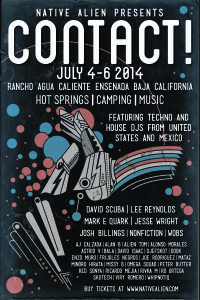 Here are some photos from our 4th of July at Rancho Agua Caliente. What a great trip this was! Thank you to the attendees for supporting our event! 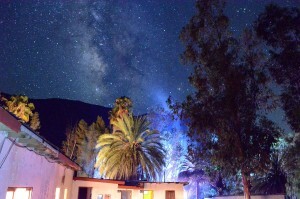 Photo by Pedro Bermudez of La Vibora Restaurant at Rancho Agua Caliente, Ensenada Baja California. Thanks to Oscar Goch for creating this video of our Contact Sunday Pool Party at Rancho Agua Caliente! We love it! 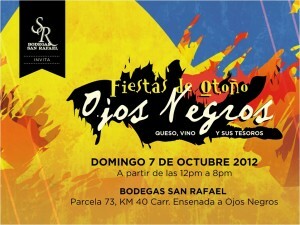 Fiestas de Otoño Ojos Negros, Queso, vino y sus tesoros. Domingo 7 de Octubre 2012. A partir de las 12:pm a 8:pm. Bodegas San Rafael.